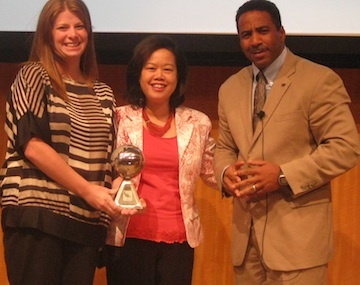 Last month at Pampers Cincinnati, OH headquarters, NFI president Roland C. Warren presented the big baby care brand with a Fatherhood Award™ for its “A Parent is Born,” “Welcome to Parenthood,” and “Love Comes Early” video series. If you haven’t seen these online mini-documentaries, check them out as a Father’s Day treat. They really do an incredible job of showing how important it is for fathers to be involved in the “peri-natal period” (the time right before and after the birth of a child). Pampers is a rare breed in the baby care world in that they are one of a few brands that understands the role dads can and should play in this area. Sure, moms still buy more diapers than dads do, but according to all the research we’ve done and seen, moms are more likely to support brands that support fathers. Moms don’t want brands letting dads off the hook. 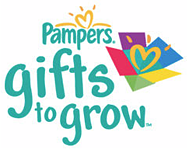 To celebrate and commemorate the Fatherhood Award™ recognition, Pampers is unveiling new rewards in its “Pampers Gifts to Grow” catalog that are very dad-centric - BBQ tool sets, professional-caliber golf balls, stainless steel water bottle gift sets, and headphones, to name a few. We love this! Especially the part about the “unique role” that dads play. Again, research shows that the different approaches that moms and dads take to child care have a significant, positive impact on child well being. We thank Pampers for their dedication to fatherhood, and commend them for doing work that will last far beyond this Father’s Day.